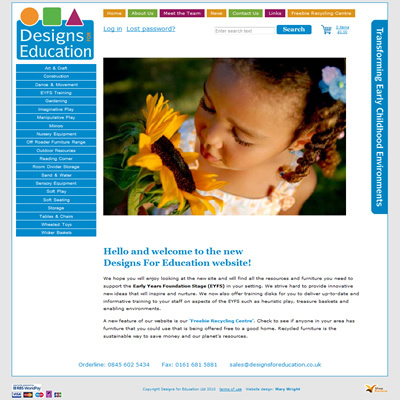 Designs For Education is an experienced, specialist company developing innovative products for the Early Years and Childcare sector. 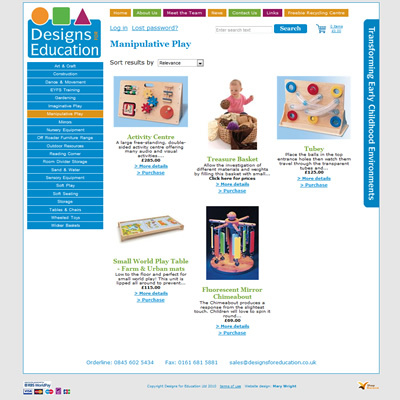 Their products are designed to support the Early Years Foundation Stage and to make the day to day challenges faced by managers and practitioners a little easier whilst creating a comfortable nurturing environment in which little people can develop safely. Web of Ideas worked to the deisgn of Mary Wright to build this website. 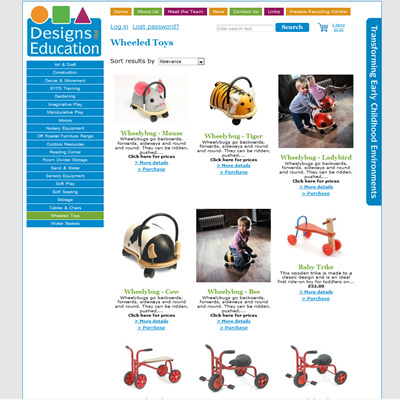 The website is a fully content managed e-commerce website, with advanced search engine optimisation (SEO) features. It integrates with the WorldPay (Royal Bank of Scotland) payment gateway for online payment by credit or debit card.